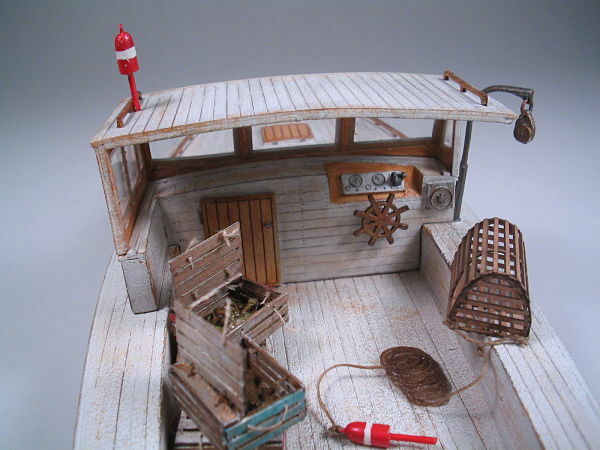 This super detailed waterline kit builds into a beautiful representation of a typical East Coast lobster boat. 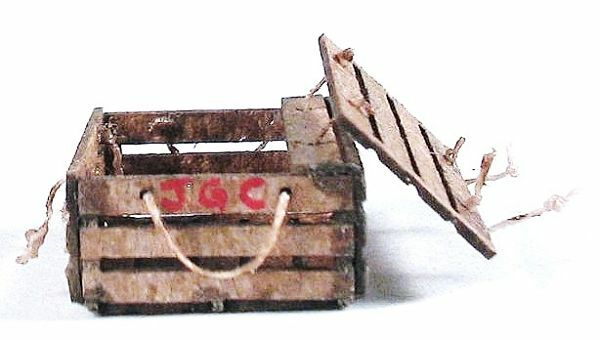 Our lobster boat kit is designed to assemble quickly while giving you the look of a scratch built plank on frame model. It is complete in details down to the nail holes and wood grain on each plank. 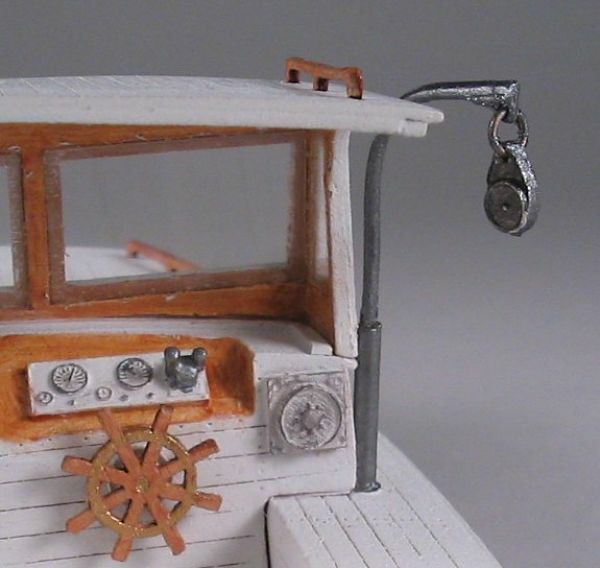 Some of the many details include: laser cut wood detail parts, 4 laser cut lobster traps and 4 lobster boxes, lead free pewter davit, pulley, 5 lobster buoys, an anchor, and yes, even lobsters! This kit features 3 highly detailed resin castings that consist of the hull, the cabin and the wheelhouse. For your convenience, we've included precision, laser cut window glazing material, and two different thicknesses of "rope". 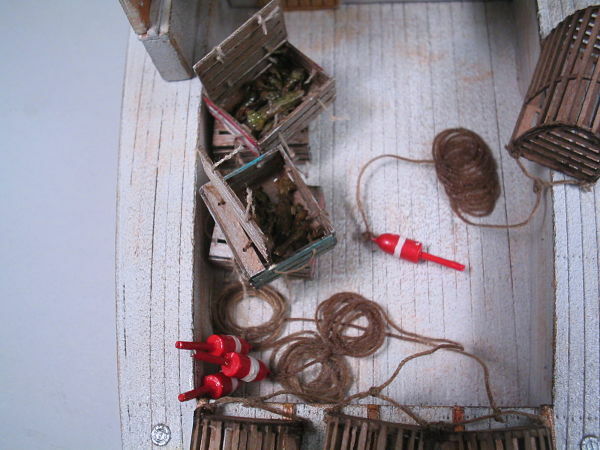 This kit will quickly assemble into a super detailed scene that's sure to make even the most hardened landlubber yearn for the sea. Measures approximately 8½" long by 3¾" wide. "I just ordered a set of your lobster boxes ("cars" as we call them here in Maine). 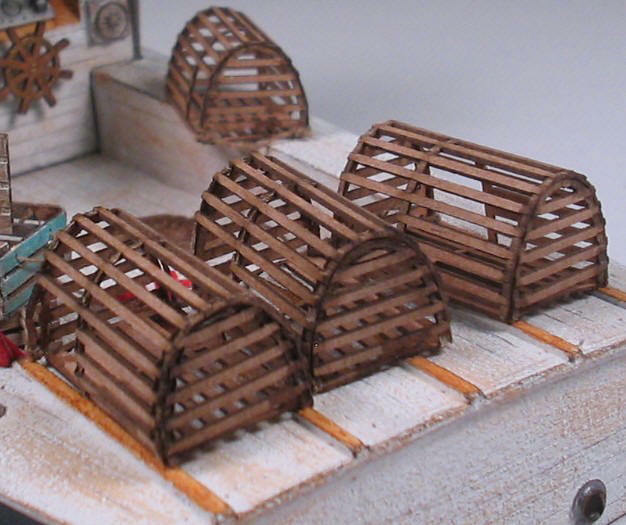 Just thought you'd like to know that these and all of the traps I ordered will be on a waterfront diorama that will be featured in the next On30 Annual from Carstens. I'm also doing a clinic for the Maine Narrow Gauge Show on 4/2 that will highlight them as well. They're great looking replicas of the real thing-easy to assemble and realistic in size and shape." "I recently changed from HO scale to O Scale. I purchased an O scale 34' Lobster Boat. Initially, I thought the price to be on the "high" side, but wanted such a boat for my layout. I was pleasantly surprised at the high quality of your item and the ease of construction. If this is any indication of the quality of your items I will be buying more. High quality O scale items and O scale in general are hard to obtain and with your exceptional product you may well have made a "niche" for yourself. I hope to see more in this scale. Very happy O Scale convert."